This entire website is a private effort of free information. There are no cookies, no advertisements, and nothing for sale. Y2k20 in 2020 - are your computer systems ready for it? What would Winston Churchill say about BREXIT? According to interviews with everyone from UK voters to UK bloggers, UK citizens voted for BREXIT in order to control immigration. This is only possible with a so-called hard-BREXIT. A soft-BREXIT will make the UK like Norway: inside the EU trading zone; still being required to take refugees; not at the table to negotiate new EU legislation. On top of that, it is likely that BREXIT will place a final nail in the coffin for the existing United Kingdom (Ireland, Scotland, Gibraltar but not Wales). Wouldn't it make more sense for the UK to stay inside the EU, and remain at the table helping to write new EU legislation? Makes sense to me so why are UK politicians so determined to rush over the cliff into the great unknown? They speak as if the BREXIT referendum was a normal expression of the voters rather than tainted by the Facebook - Cambridge Analytica manipulation scandal. Is it possible that they are only saving the jobs of the political class? With such uncertainty I think this is the time for parliament to ask the public for a second opinion. The main reason given was that Europe's closest trading partners, China and Russia, do not shift their numerous number of time zones, and having Europe change its clocks twice annually was bad for business between all. But as a computer programmer and system admin, I can tell you that not having your computer systems change their internal clocks is a huge advantage. About 200 years ago, Scottish professor Alexander Fraser Tytler said (paraphrased): that no democracy can survive much more than 200 years without collapsing from its own debt. He went on to say that this is the natural consequence once people discover that they can vote for the politicians who give them the most gifts, and the politicians know it. He also said tyranny always follows. comment-2: Anyone with a basic understanding of economics will quickly realize that servicing this debt will divert a huge amount of money away from desired social programs. For example, 2% of 21-trillion, compounded annually, is 420-billion. Meanwhile, 2% of 1-trillion, compounded annually, is 20-billion. comment-3: What a coincidence. The latest Canadian liberal budget introduces a new 20-billion dollar deficit which will be added to the total federal debt. The other Europeans are not laughing at the English for the most part. They are looking at them with pity and scorn. But also with a great deal of impatience. On Tuesday the British parliament rejected Prime Minister Theresa May's 'deal' for Britain's exit from the European Union, painfully negotiated over more than two-and-a-half years, by an overwhelming 149-vote majority. It was the second time parliament, including a large chunk of her own Conservative Party, rejected the deal she made with the EU last November. And the main reason both times was the so-called backstop: a commitment by May's government to avoid a hard border in Ireland at all costs. Thursday the British parliament will also reject a proposal that Britain just leave the EU without a deal. 'Crashing out' would mean instant customs barriers at the United Kingdom's port, airports and land borders, with immense disruption of trade including food imports and industrial supply chains. It would be an economic disaster. Once that option is foreclosed, the British parliament will vote on asking the EU for a postponement of the departure date (currently scheduled for the 29th of this month). That vote will almost certainly pass, but neither the government nor parliament can even agree on how long a postponement to ask for. If your local daycare was this feckless, you'd move your children at once. It's all about that backstop. That's why parliament won't pass May's deal, and it's why the EU refuses to renegotiate it. May's November deal with the EU promised that the United Kingdom would stay in the existing customs union with the EU, and also remain closely aligned with the 'single market' that guarantees the free movement of goods, capital, services, and labour across the whole EU — until and unless the two parties negotiate an alternative arrangement that keeps the inter-Irish border unpoliced and almost unmarked. If you drive the 500-kilometre border between the Republic of Ireland and Northern Ireland, which is part of the UK, the road crosses it dozens of times (there are 270 vehicle crossings). The only way you know you have crossed the border again is that speed limits are posted in kilometres in the republic, but in miles in the North. But for 30 years during the 'Troubles' (1969-1999), which saw 3,000 people killed in a province of less than two million people, the border was a war zone. British soldiers, of whom hundreds died there, called it 'bandit country. The killing ended with the Good Friday agreement of 1999, which managed to achieve a compromise between the Protestants of Northern Ireland (who feel British) and the Catholics (who mostly identify as Irish). There would be power-sharing at government level, and the border with the Republic would become invisible. The Irish nationalists in the North could even have Irish passports instead of British ones. Brexit is almost entirely an English nationalist project — Scotland and Northern Ireland both voted to remain in the EU — and the Brexiteers just ignored the fact that leaving the EU would sabotage the Good Friday deal by creating a hard border in Ireland. There would have to be customs officers and passport checks, or else there would be huge amounts of smuggling and an uncontrolled flow of illegal migrants. But a hard border would bring the war back, even though most people don't want it. The population on the UK side of the border is overwhelmingly Catholic, and any attempt to control the border without putting officials on it will fail: the local people will just destroy the cameras and other sensors. But put in customs officials, and you will need police to protect them — and soon enough you will need soldiers to protect the police. Welcome to the Troubles, volume two. So the Irish government demanded that the border stay open and invisible. It is and will remain a member of the EU, so that became EU policy. Which means Northern Ireland (and therefore all the rest of the UK) must stay in the customs union until someone comes up with a magical method for controlling the border invisibly. That's why the backstop was necessary, and Theresa May accepted that when she signed the deal last November. But she cannot sell it to her own party's hard-line Brexiteers, let alone to the other parties in parliament. Magical thinking still rules, and the arrogance is as breathtaking as the ignorance. What happens next? Nobody has any idea. 1) according to tide gauges by sea-faring nations, sea level increased by 20 cm (~ 8 in) between 1900 and 2000 which equates to 2 mm per year. Radar measurements by satellites show the new value as 3.2 mm per year (and rising). So even if you do not accept the values published in this recent article, sea level is absolutely guaranteed to rise an additional 32 cm (~ 12 in) between 2000 and 2100. Remember that this rise is vertical. 2) Ocean rise should not be a surprise to anyone educated in ice ages where co2 levels normally bounce between 180 ppm (when in an ice age) vs. 280 ppm (when in an interglacial). Why? During an ice age a lot of water accumulates in glacial ice. But humanity's industrial age has pushed co2 levels more than 128 units past 280 which is taking the melting of ice to a totally new place. Had we known this earlier, then none of us would have built large cities so close to the coast. I fear that Venice Italy stands as a symbol for American cities like New York, San Francisco and Miami to only name three of many. 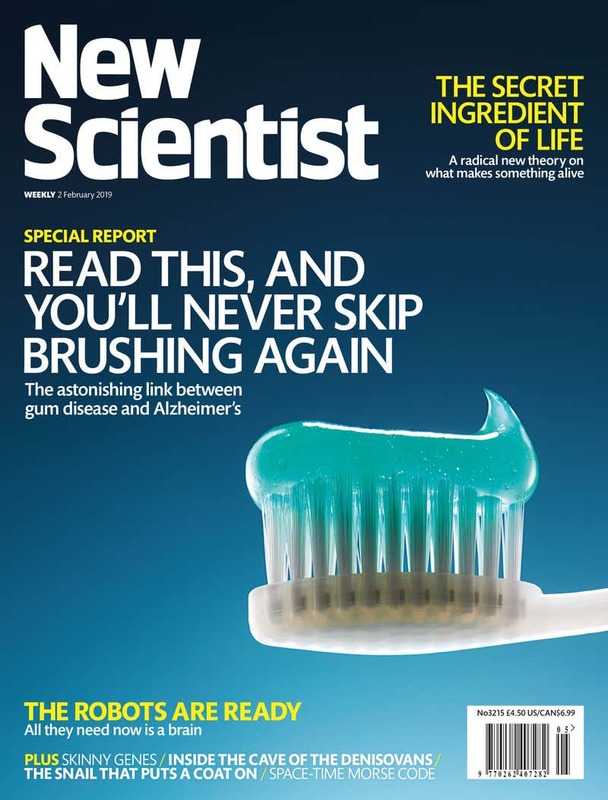 The cover text reads: "READ THIS, AND YOU'LL NEVER SKIP BRUSHING AGAIN"
comment: the editor correctly reminds that the medical community once thought that stomach ulcers "were caused by stress or excess acid and so treated the problem with acid-lowering medications". That changed in the mid 1990s when Australian doctor Barry Marshall showed (by infecting himself) that a stomach bacterium called Helicobacter pylori the true cause. A feat that won him a Nobel prize. In comparing the opinions of economists with those of the general public, Pascal Boyer makes an interesting point (22 September, p 40). But from there he works on the assumption that the economists are right. As a scientist, I prefer to use observation rather than opinion in my work, and the 2008 global financial crisis is enough to make one suspicious of economists. Let's take one of Boyer's examples: “While 69 per cent of the public saw excessive executive pay as a reason the economy wasn't doing better, just 12 per cent of economists did.” Yet in the two powerhouses of the post-war economy, Germany and Japan, executive salaries are much lower than in the US, UK and Australia. comment: during post-WW2 reconstruction, both Germany and Japan were advised by Americans to place upper limits on executive income. During their powerhouse decades these countries limited executive pay to 20 and 25 times the average wage of rank-and-file employees. When I was a teenager in the 1960s, many people (except medical and legal professionals) aspired to be scientists, engineers, technologists or technicians. 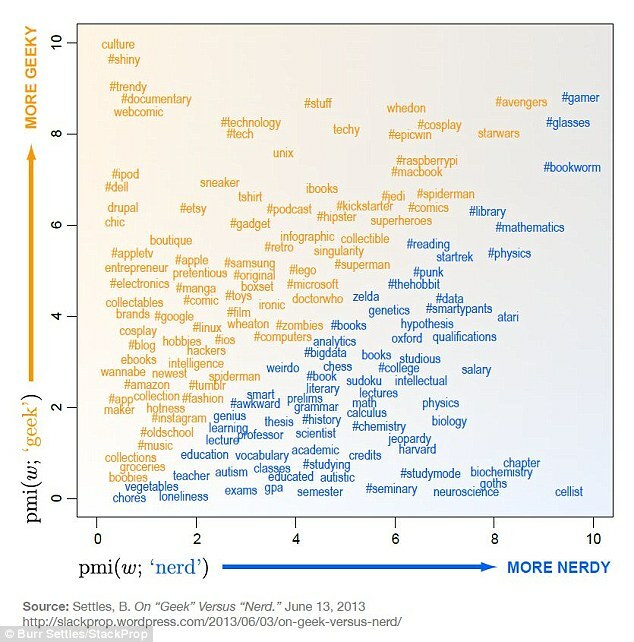 It seemed that everyone was reading magazines like Scientific American, Popular Science and Popular Mechanics. A real "can do" attitude existed everywhere in our society. 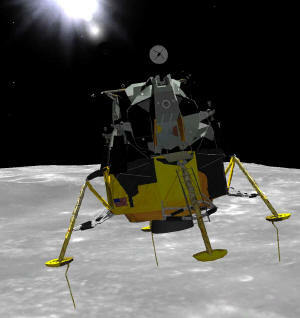 For example, when President John F Kennedy announced America's intention to visit the Moon before the end of the decade, naysayers complained that the goal was impossible because the technology did not exist. Meanwhile, once funding was in place, other "can do" engineers and scientists simply created the technology. Both the internet and "personal computers" are two spin-off technologies which were never dreamed of by anyone when Kennedy publically gave his moon shot speech in 1962 but by the mid 1970s it appeared that everyone was building computer kits (like the Altair 8800 or the Heathkit H8) or were buying personal computers (like the Apple-2 or the TRS-80). Within 5 years it seemed that everyone was reading Byte magazine and/or attending nightly college courses to learn computer programming and/or digital electronics. Life today is much different. It appears to me that life this side of 1995 is considerably different with many people aspiring to be politicians, political advisors, political aids, or just political pundits with a YouTube channel. The "can do" attitude has been replaced with a "can't do" political divisiveness with wannabe millionaires calling for taxes cuts and austerity (why should I be expected to pay for that?). Just at a time when humanity has become dependent upon science and technology, western civilization has decided to replace scientific facts with political opinion. comment-1: What does this say about what humanity is currently doing to planet Earth? In the era of mutually assured destruction (MAD), a large number of western citizens advocated for nuclear de-escalation because the thought of an accidental conflict seemed too great. Today, many people seem to think that a healthy economy is more important than a healthy biosphere. In fact, many people with financial ties to the old economy are actively working to speed the collapse by denying that the climate is warming or that is is human induced. comment-2: Many climate deniers do not believe it is possible for modern humans to change Earth's atmosphere. And yet, it was the action of microscopic stromatolites (cyanobacteria) that added oxygen to Earth's atmosphere ~ 3.5 billion years ago. The European Union has just announced that they will ban one-time use plastic products by 2021. This includes: stir-sticks, drinking straws, cutlery, soft-drink containers, and shopping bags. They stated that if something isn't done now, then by 2050 there would be more plastic in the ocean than fish. The Great Pacific Garbage Patch is 16 times larger: There’s even more plastic in the Pacific than we thought. At least 79,000 tons of plastic are floating in the Great Pacific Garbage Patch. That’s four to sixteen times as much as was estimated by two studies in 2014. The Garbage Patch is an area of 1.6 million square kilometers between Hawaii and California. There, floating debris – from microscopic particles of plastic to large pieces like ropes and fishing nets – is carried by currents and accumulates. Similar patches exist in other oceans. Researchers gathered data from aerial surveys and nets towed by ships, and fed it into a computer model. This showed there is around one kilogram of plastic per square kilometer in the outer regions, rising to more than 100kg/km2 near the center. Earlier studies probably greatly underestimated the mass of plastic because they were not as comprehensive. For instance, they had to rely on spotting flotsam from boats, rather than on aerial surveys. But the team that carried out the latest study says there has also been a real increase in the mass of plastic. religious war at the United Nations. 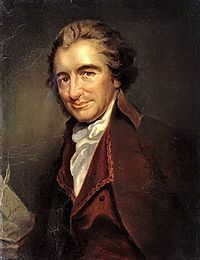 Deism offers us an opportunity, right now, to, as Thomas Paine wrote about the American Revolution, "begin the world over again." This is much more important than most people realize. Why? Objectively looking at our world today, we see there are literally billions of people who believe man-made books that are steeped in ancient fear, ignorance and nonsense while claiming to be God's communication with humanity. Books which promote religious violence on a global scale and which teach that The Supreme Intelligence/God ordered people to commit acts of genocide against their neighbors. Is it any wonder our world today suffers from so much religious violence? All of the Abrahamic "revealed" religions (Judaism, Christianity, and Islam) have "holy" scriptures which promote religious violence. The Abrahamic "revealed" religion that arguably has the most influence on US government policy makers, policy makers who have the very real ability to start wars, is Judaism. This is due primarily to the raw political power of the Israel lobby and to the Hebrew Bible/Old Testament based neoconservative movement. These two powerful and influential organizations were successful in getting US politicians from both parties to start the Iraq War for the benefit if the Jewish state of Israel. 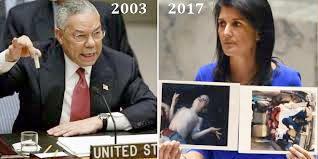 They are now working, in much the same way as they did 15 years ago to start the Iraq War, to get US politicians to start a war for the same reasons against Iran. When we stop and realize the religious basis for the Iraq War and for the desired war against Iran, the vital importance of Deism becomes clear. If enough people were educated about Deism and held Deistic beliefs instead of nonsensical and harmful beliefs promoted by the "revealed" religions, it would be much more difficult for the powers that be to wage religious wars, and we would have a much better world for ourselves and for future generations. Computers speak a simple language known as binary. The lexicon is built from digital 0s and 1s, so the “C” letter at the start of this box would be represented as an elaborate code: “01000011”. The dominance of binary is partly due to computers being built from transistors, electrical switches that either allow current to flow or not, and nothing in between. These two well-defined states stand in neatly for 0 and 1. But there’s a newer electrical component on the scene called a memristor (see main story). These devices are becoming more and more useful in computers built to mimic the brain, and they are plenty more versatile than the transistor. Rather than being simply on or off, they can adopt several different states of resistance. Last year, researchers led by Vikas Rana at the Peter Grünberg Institute in Jülich, Germany, got a set of memristors successfully performing calculations in a ternary language, which uses the digital equivalent of 0s, 1s and 2s. This means memristors could allow computers to compute much more efficiently. And it doesn’t have to stop at base 3; memristors can reliably adopt at least seven, and possibly more, resistive states. 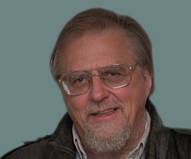 Comment: I post this because the rise of Christian religious fundamentalism in North America appears to be following a similar path to that of Islam after Al-Ghazali almost a millennia ago. Does any rational person believe that a deity will answer prayers to save us from ourselves? It is more likely that we are meant to use the natural gifts we have been given to workout solutions for ourselves. Okay so here's what I don't understand: The United States claims to be a Christian nation. It also claims to be a purveyor of democracy and yet it is best friends with Saudi Arabia (a theocratic monarchy without elections) while it dislikes Iran (a theocratic democracy with elections). To make matters worse, America sells military hardware to the Saudis who use it to attack countries like Yemen. If you claim to be a Christian then you need to ask yourself what Jesus would think about this? In 2014, NATO member countries agreed to increase the amount they spend on military defense to 2% of GDP within a decade (caveat: The 2% target is described as a guideline; There is no penalty for not meeting it). EU member countries are required to invest 2% of their GDP in EU scientific R&D (Research & Development). I think it is safe to say that military spending shifts the emphasis from "R" to "D" but people today forget that World War 2 was won by the countries with the smartest research scientists. Everyone knows that creation is more difficult than destruction but most rational people would agree it is worth the effort. Perhaps humanity's future would be better off if half the money allocated to military spending was diverted to scientific research. Perhaps this could be written into the next NATO agreement. Have you ever noticed that when you present people with facts that are contrary to their deepest held beliefs they always change their minds? No, me neither. In fact, people seem to double down on their beliefs in the teeth of overwhelming evidence against them. The reason is related to the worldview perceived to be under threat by the conflicting data. Creationists, for example, dispute the evidence for evolution in fossils and DNA because they are concerned about secular forces encroaching on religious faith. Anti-vaxxers distrust big pharma and think that money corrupts medicine, which leads them to believe that vaccines cause autism despite the inconvenient truth that the one and only study claiming such a link was retracted and its lead author accused of fraud. The 9/11 truthers focus on minutiae like the melting point of steel in the World Trade Center buildings that caused their collapse because they think the government lies and conducts “false flag” operations to create a New World Order. Climate deniers study tree rings, ice cores and the PPM of greenhouse gases because they are passionate about freedom, especially that of markets and industries to operate unencumbered by restrictive government regulations. Obama birthers desperately dissected the president’s long-form birth certificate in search of fraud because they believe that the nation’s first African-American president is a socialist bent on destroying the country. Click here to read more. 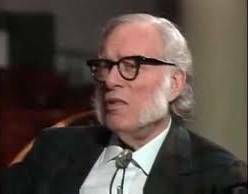 Excerpt from Wikipedia: Isaac Asimov was an atheist, a humanist, and a rationalist. He did not oppose religious conviction in others, but he frequently railed against superstitious and pseudoscientific beliefs that tried to pass themselves off as genuine science. During his childhood, his father and mother observed Orthodox Jewish traditions, though not as stringently as they had in Petrovichi, Russia; they did not, however, force their beliefs upon young Isaac. Thus he grew up without strong religious influences, coming to believe that the Torah represented Hebrew mythology in the same way that the Iliad recorded Greek mythology. NSR Comment: The "ignorance" quote now seems to apply to other English-speaking countries including Britain, Canada, and Australia to only name three of many. why is it that English-speaking countries have less respect for science and scientists than other European countries? why does this not apply to people from New Zealand and Tasmania ? does the internet provide a venue where wacky people can meet up with other wacky people to share dopey ideas while trading conspiracy theories? Perhaps, but why are New Zealand and Tasmania immune? The independence of the courts is, to all of us, the guarantee of freedom and the equal rule of law... It must, therefore, be the first concern of the citizens of a free country to preserve and maintain the independence of the courts of justice, however inconvenient that independence may be, on occasion, to the government of the day. On August 17, 1949, on the occasion of the first session of the Consultative Assembly of the Council of Europe, Sir Winston Churchill expressed the wish that once an agreement on Fundamental Human Rights was achieved on a European level, it would be possible to create an International (European) Court before which any violation of such rights might be submitted for judgment by the civilized world. A.I. has been shifting from an "engineering discipline" ("expert systems" was their most visible practical success before IBM's Watson) to a "cognitive science" discipline for a while now. This shift has forced researchers to view the human mind from a different perspective. One proposal by Daniel Kahneman separates the human mind into two abstractly labeled modules colloquially referred to as system-1 and system-2 (or S1 and S2). S1 is a high-speed parallel processor evolved for avoiding predation by lions but also handles wrote intelligence (what is "2 plus 2"?) while S2 is a serial processor which deals with higher level procedural intelligence (what is "19 times 21"?). S2 requires more energy and concentration (not something you want to be doing while being chased by a lion) so idles until activated by S1. Example 1: "S1 immediately engages S2 but fails to pass accurate information to S2 (causing S2 to make an error)"
Examples 2-5: "S1 will answer incorrectly without ever engaging S2"
Example 6: "S1 immediately engages S2; S2 employs a little algebra to compute the answer then notifies S1; S1 doesn't believe S2 so requests S2 to double-check; S2 repeats the solution then notifies S1; S1 still doesn't believe S2 so requests S2 to perform a detailed rationalization of where S1 had gone wrong"
This graphical algebra problem employs picture symbols rather than x, y and z. Calculate the answer. "All flowers need water. All roses need water. Therefore, all roses are flowers". Is this logically true? A patch of lily pads are found in a lake. Every day the patch doubles in size. If it takes 48 days for the patch to cover the entire lake, how long would it take for the patch to cover half of it? Three people check into a hotel room. The clerk says the bill is $30, so each guest pays $10. Later the clerk realizes the bill should only be $25. To rectify this, he gives the bellhop $5 to return to the guests. On the way to the room, the bellhop realizes that he cannot divide the money equally. As the guests didn't know the total of the revised bill, the bellhop decides to just give each guest $1 and keep $2 as a tip for himself. Each guest got $1 back: so now each guest only paid $9; bringing the total paid to $27. The bellhop has $2. And $27 + $2 = $29 so, if the guests originally handed over $30, what happened to the remaining $1? A little math proves the current human population is already too large at 7.57 billion (this is a real-time counter BTW). Anything higher (caveat: humanity adds 1 billion every 12 years) is certainly out of the question. Why? Many people mistakenly believe higher CO2 levels "are good for plants" and "will trigger plant growth" (some people call CO2 the gas of life). 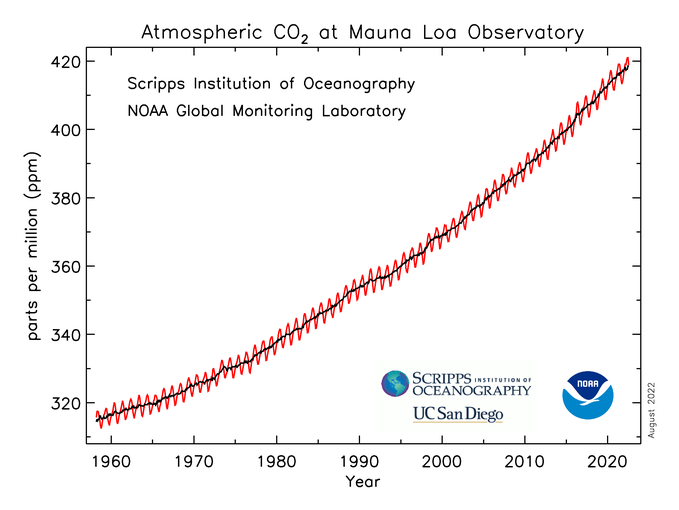 First off, atmospheric CO2 levels have risen from 315 to 405 ppm (an increase of 28.5%) ever since direct annual measurement began in 1958 but humanity has not noticed any explosion of plant life to compensate for the increase (if we did, we might not have seen an increase in CO2 levels). 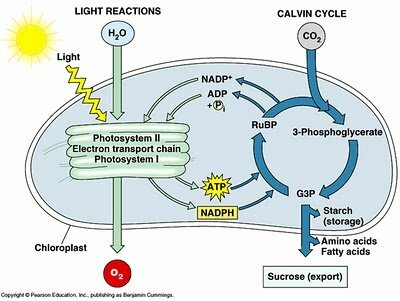 Secondly, this schematic diagram of photosynthesis shows the first stage involves the photolysis of water by sunlight (this is the only place where oxygen is released to the atmosphere). This diagram is proof that sunlight (input 1) and H2O (input 2) are more important than CO2 (input 3) but each ingredient is considered a limiting factor to maximum photosynthetic productivity (it goes without saying that there is no release of oxygen on short days, cloudy days, or at night). The majority of plant life acquires water through roots rather than the atmosphere. 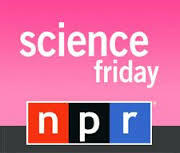 Higher temperatures will evaporate a greater volume of water into the atmosphere making it bio-unavailable to plants. While more evaporation usually translates into more rain fall, higher temperatures will send it back into the atmosphere sooner. Baruch Spinoza was a 17th century Dutch Jewish philosopher (1632-1677). He was known for his radical views on religion and politics. As a young man, he was banned by his own religious community for his scandalous ideas. He made his living by grinding precision lens for scientists. He died young, at the age of 44, presumably from inhaling glass dust. Spinoza did not believe that God created the heavens and earth - the universe. For Spinoza, God was equivalent to all of nature. He believed that "false religion" created superstition. A "true religion," on the other hand, was liberating because it allowed freedom of thought. The Europe of 17th century was a place of stifling religious orthodoxies, strife and war. Spinoza believed in freedom of thought and the principle of religious tolerance. Spinoza also had radical ideas about the nature of politics. He believed in democracy. He is credited with helping to shape the revolution in human thought known as The Enlightenment. CBC IDEAS host Paul Kennedy explores how Spinoza's thoughts on God, the universe, ethics and politics helped ignite the flame what became known as the Enlightenment. In 1873, while investigating infrared radiation and the element thallium, the eminent Victorian experimenter Sir William Crookes developed a special kind of radiometer, an instrument for measuring radiant energy of heat and light. Crookes's Radiometer is today marketed as a conversation piece called a light-mill or solar engine. It consists of four vanes each of which is blackened on one side and silvered on the other. These are attached to the arms of a rotor which is balanced on a vertical support in such a way that it can turn with very little friction. The mechanism is encased inside a clear glass bulb which has been pumped out to a high, but not perfect, vacuum. When sunlight falls on the light-mill, the vanes turn with the black surfaces apparently being pushed away by the light. But there is a problem with this explanation. Light falling on the black side should be absorbed, while light falling on the silver side of the vanes should be reflected. In that case the mill is turning the wrong way. In 1901, with a better vacuum pump, Pyotr Lebedev showed that the radiometer only works when there is low pressure gas in the bulb but the vanes stay motionless in a hard vacuum. This is proof that the thermal properties of the low pressure gas are responsible for the motion, not the direct action of photons. Climate-Warming Food-for-thought: too much gas traps too much heat causing the machine to stop working. The radiometer can also be made to rotate backwards in a refrigerator. Other mistaken explanations for the radiometer: Since the black side of each vane would absorb heat from infrared radiation more than the silver side, then this would cause the rarefied gas to be heated on the black side. In that case, the obvious explanation is that the pressure of the gas on the darker side increases with its temperature, creating a higher force on the dark side of the vane which thus pushes the rotor around. Maxwell analyzed this theory carefully and discovered that, in fact, the warmer gas would simply expand in such a way that there would be no net force from this effect, just a steady flow of heat across the vanes. So this explanation in terms of warm gas is wrong, but even the Encyclopedia Britannica gives this false explanation today. A variation on this theme is that the motion of the hot molecules on the black side of the vane provide the push. Again this is not correct, and could only work if the mean free path between molecular collisions were as large as the container, instead of its actual value of typically less than a millimeter. The correct solution to the problem was provided qualitatively by Osborne Reynolds in 1879 in a paper to the Royal Society in which he considered what he called "thermal transpiration". To explain the radiometer, therefore, one must focus attention not on the faces of the vanes, but on their edges. The faster molecules from the warmer side strike the edges obliquely and impart a higher force than the colder molecules. Again, these are the same thermo-molecular forces responsible for Reynolds' thermal transpiration. The effect is also known as thermal creep, since it causes gases to creep along a surface that has a temperature gradient. The net movement of the vane due to the tangential forces around the edges is away from the warmer gas and towards the cooler gas, with the gas passing around the edge in the opposite direction. The behavior is just as if there were a greater force on the blackened side of the vane (which as Maxwell showed is not the case); but the explanation must be in terms of what happens not at the faces of the vanes, but near their edges. Porting OpenVMS "Alpha to Itanium"
Porting OpenVMS "VAX to Alpha"
Guaranteed Human Life Extension - quantity as well as quality. This is not a joke or scam but it will cost you $6.00 per month and you must act now. Canadiana and Flag Folly = ? 1794 The Age of Reason (Enlightenment). Part-1 was written while under arrest in France awaiting the guillotine. Part-2 was written in 1796. Adam Smith (1723-1790) was a self titled "moral philosopher" who developed economic theories with the intent of redistributing wealth to workers who were about to be displaced by the industrial revolution. Anyone reading Smith's books will come to the conclusion that American capitalism is based upon a synthesis of Adam Smith and Charles Darwin (survival of the greediest). Many things Americans attribute to Adam Smith are not found in his books (the 'invisible hand' is mentioned only once in a revised edition of WoN). What would he think about hedge funds and activist investors? Rieck genealogy and coat-of-arms, etc. A mysterious monolith awakens the imagination of humanity's distant ancestors. a third monolith beckons humanity to transcend beyond the limits of of body and machine. "All forces in the universe are mediated by particle exchange"
This "Feynman Diagram" (of electron repulsion) depicts the movement of two electrons (1 to 3 and 2 to 4) in space and time. A virtual photon transfers energy between them (5 to 6) causing them to repel each other. Check out Dilbert's Salary Theorem to learn why you can't get ahead. Dilbert Comic-Strip Finder - search Dilbert comics for words like "COBOL" and "JAVA"